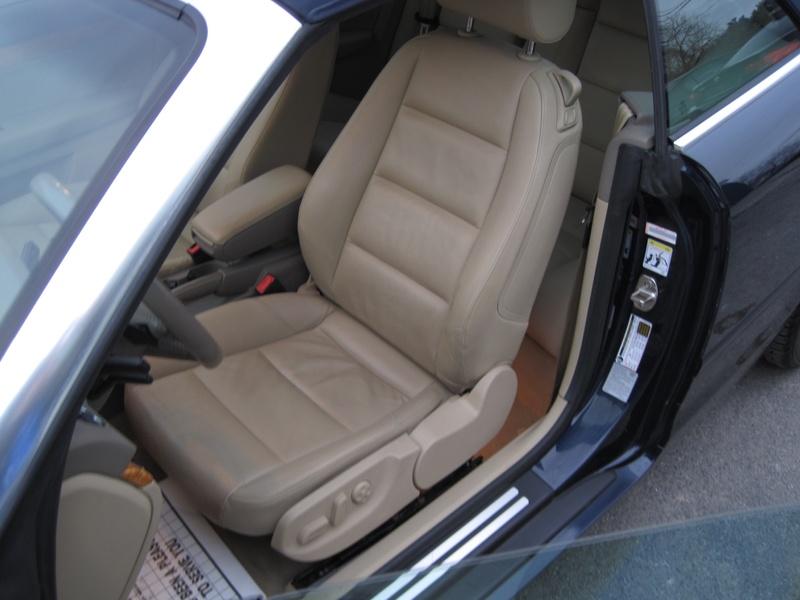 90952 MILES - TWO OWNER, ALL ORIGINAL MILES - GUARANTEED. 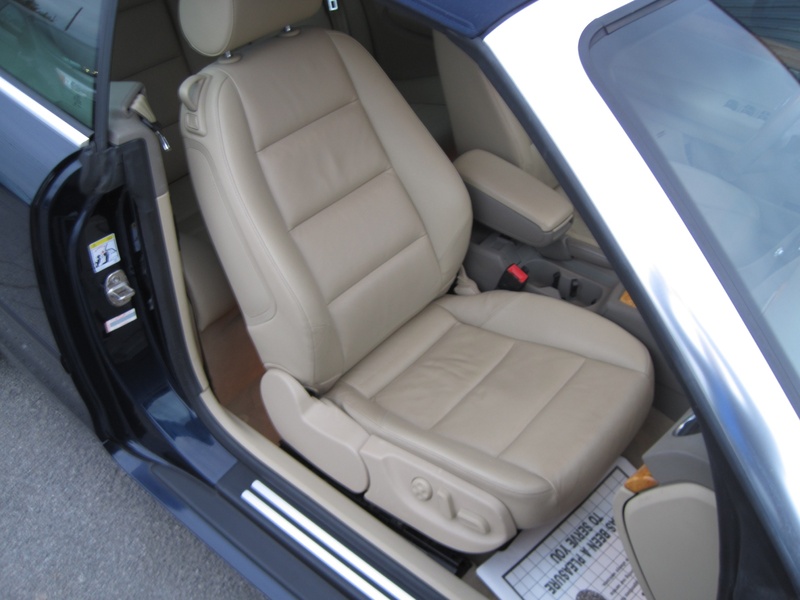 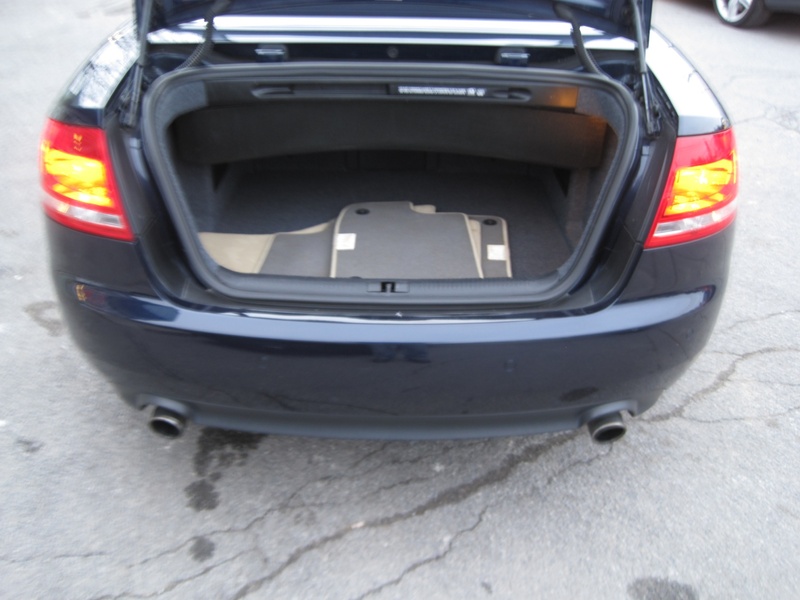 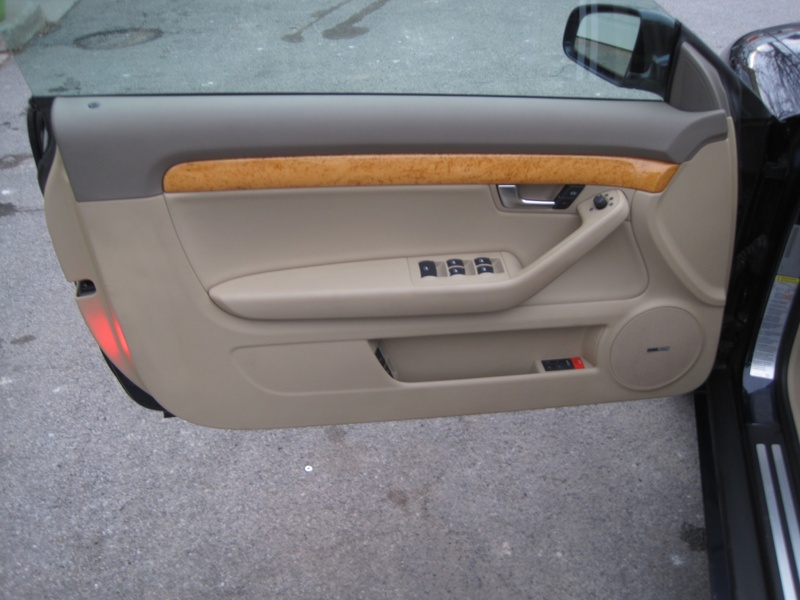 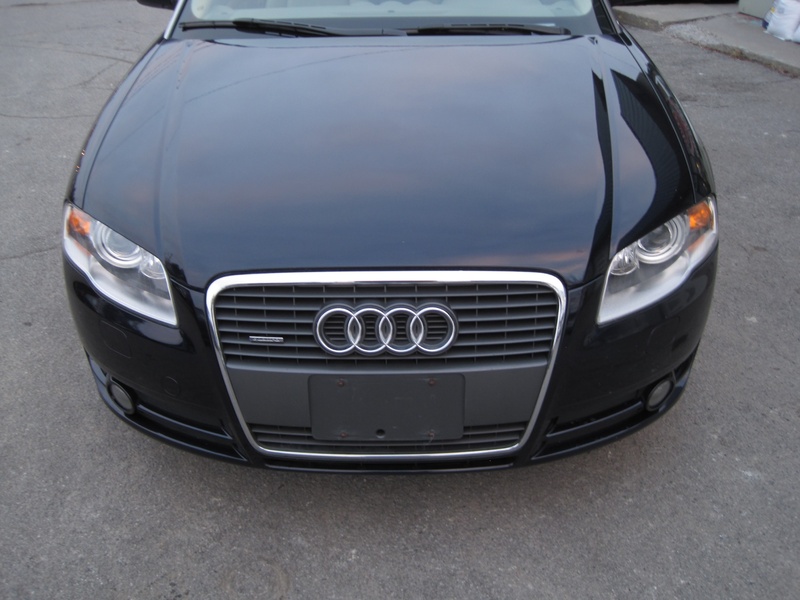 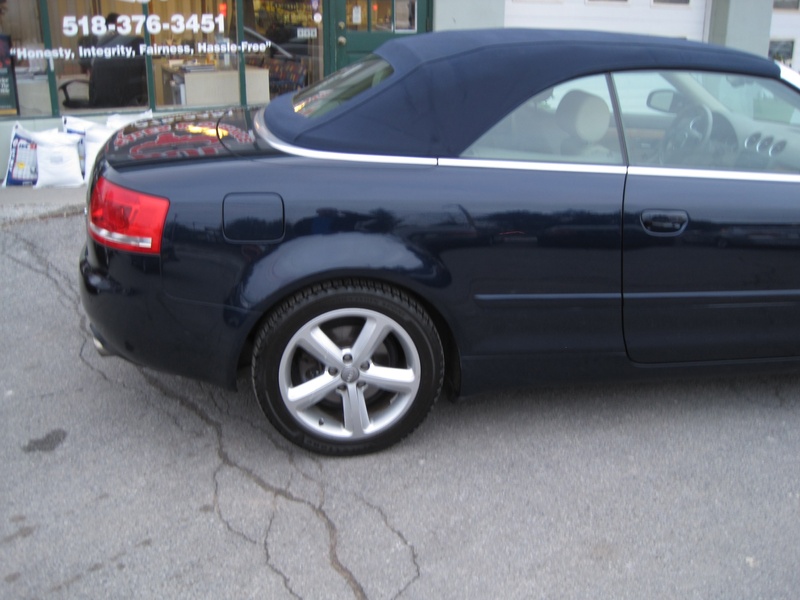 IT IS LOADED WITH OPTIONS - PREMIUM PACKAGE, 17 INCH AUDI ALLOY WHEELS WITH ALL SEASON TIRES, AUTOMATIC TRANSMISSION, BOSE PREMIUM SOUND SYSTEM WITH CD CHANGER, FULLY AUTOMATED POWER SOFT TOP, DARK BLUE METALLIC EXTERIOR COLOR, TAN LEATHER INTERIOR UPHOLSTERY, ON-BOARD COMPUTER, REAR ARMREST, ESP ELECTRONIC STABILITY CONTROL/TRACTION CONTROL, DYNAMIC BRAKE CONTROL - DBC, LEATHER STEERING WHEEL, ADJUSTABLE TILT/TELESCOPIC STEERING WHEEL, POWER DRIVER'S SEAT AND POWER PASSENGER'S SEAT, POWER LUMBAR SUPPORT FOR FRONT SEATS, FOG LAMPS, 17 inch ALLOY WHEELS, AUTODIMMING REARVIEW MIRRORS, HOMELINK TRAINABLE GARAGEDOOR OPENER, IN-DASH 6 DISC CD CHANGER, MULTI-FUNCTION STEERING WHEEL WITH CONTROLS, DUAL FRONT AIRBAGS, DUAL SIDE AIRBAGS, DUAL HEADCURTAIN AIRBAGS AND SO MUCH MORE. 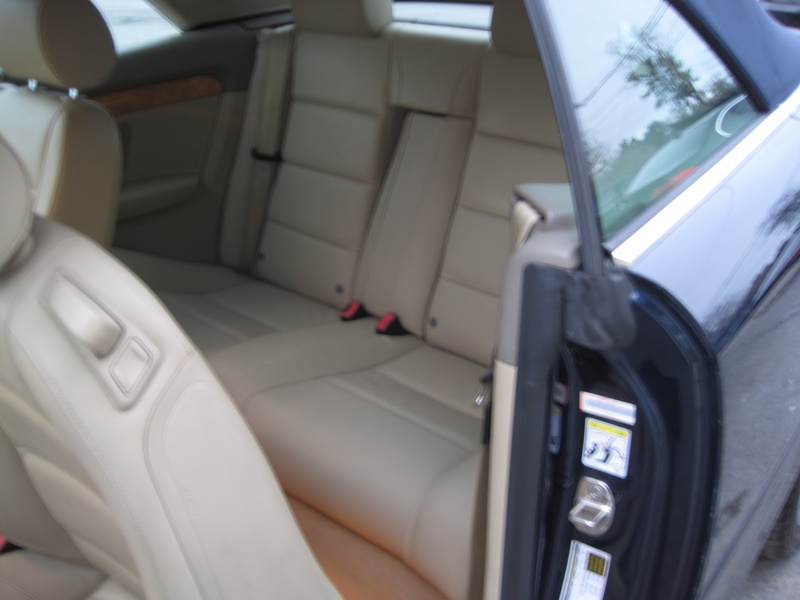 FOR A COMPLETE LIST OF THE OPTIONS PLEASE LOOK BELOW THE DESCRIPTION, IN THE OPTIONS/FEATURES SECTION. 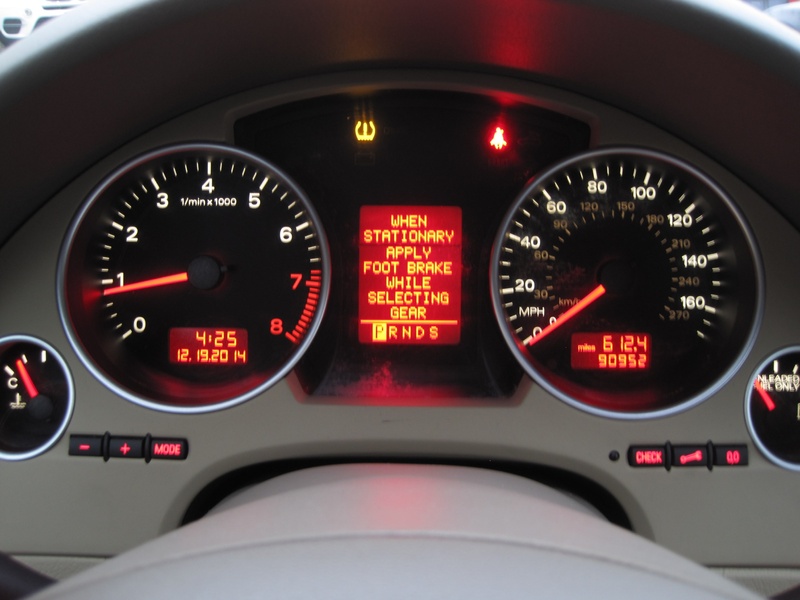 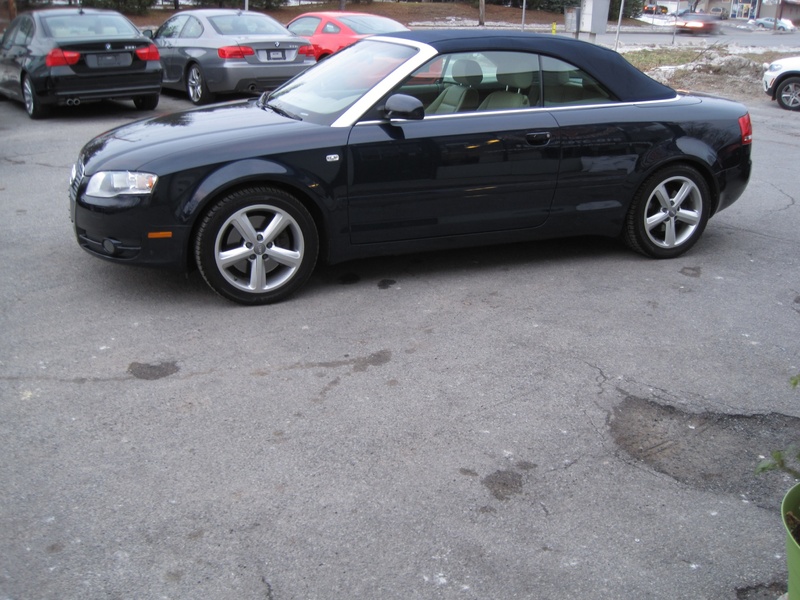 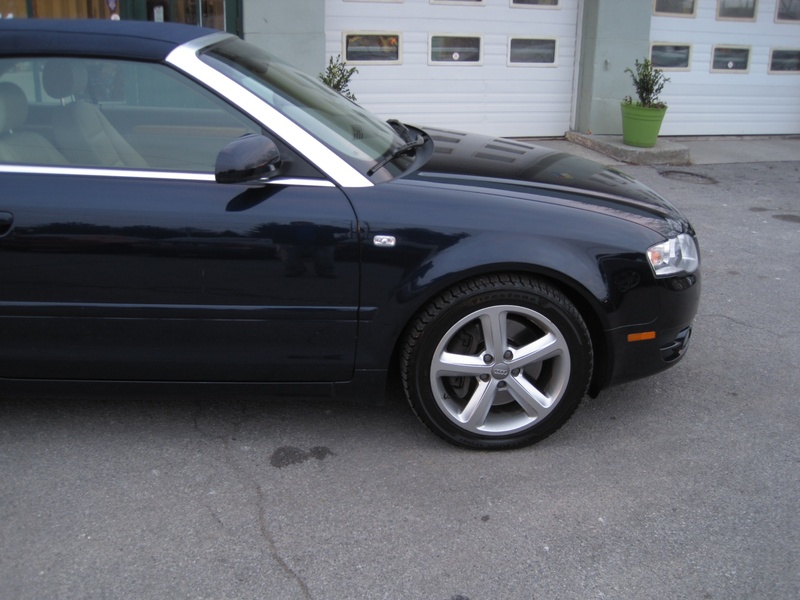 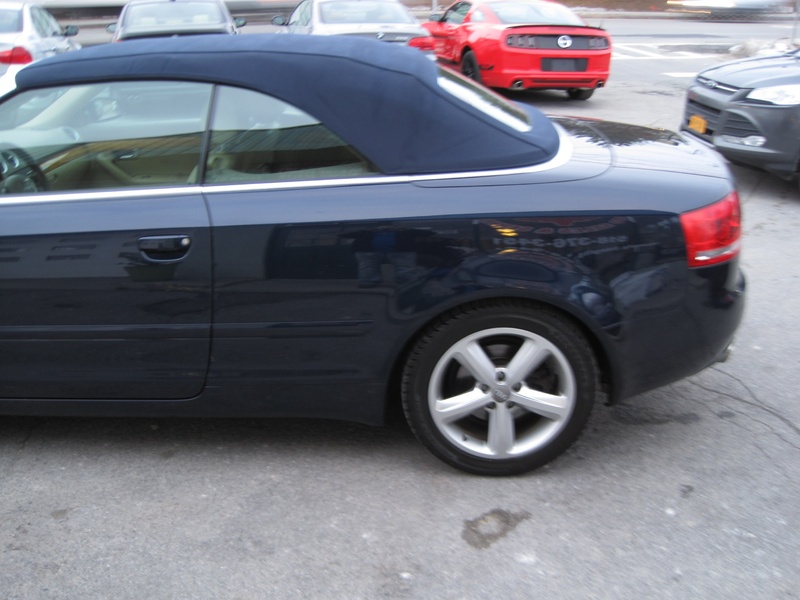 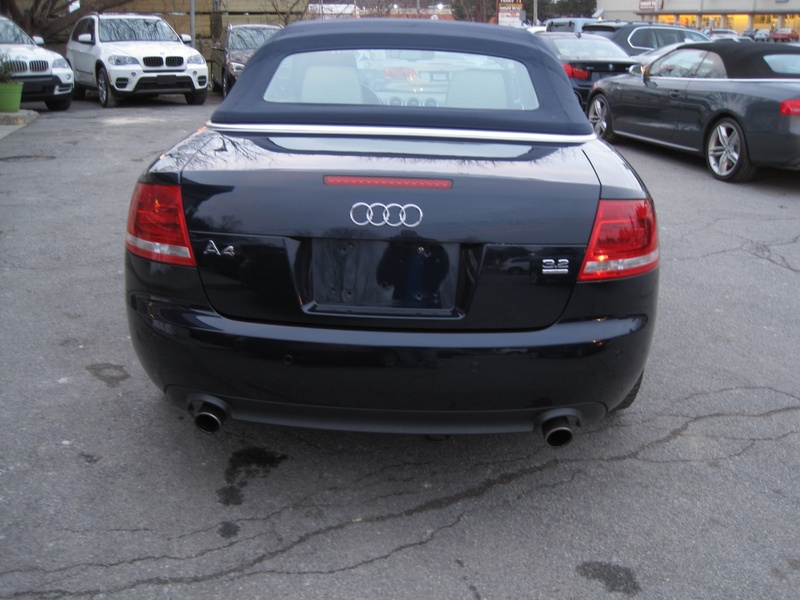 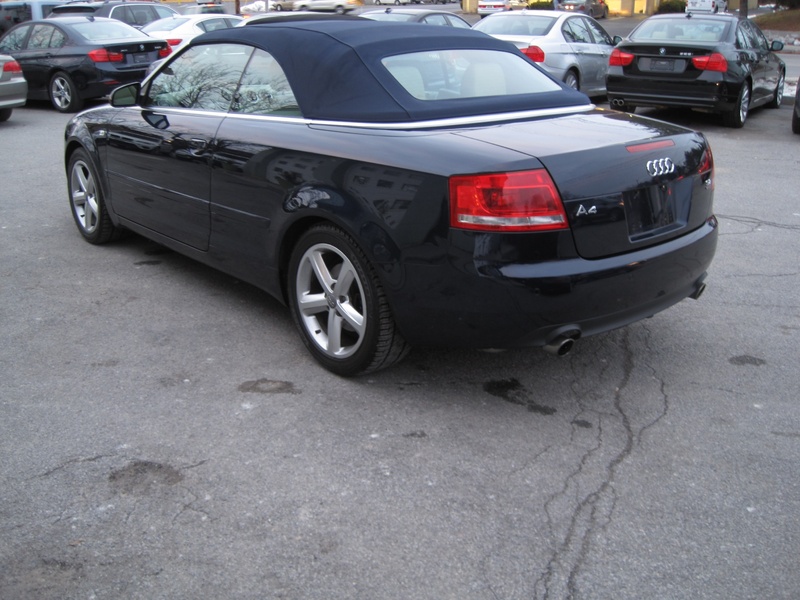 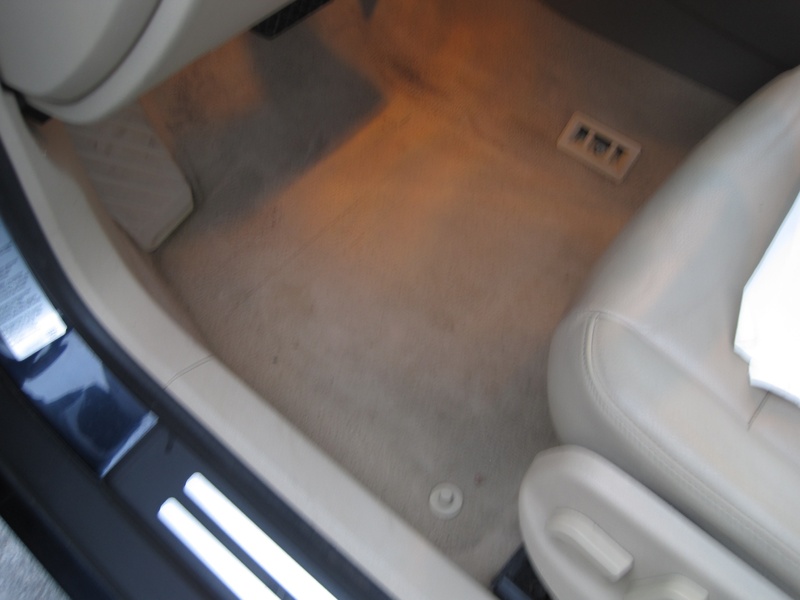 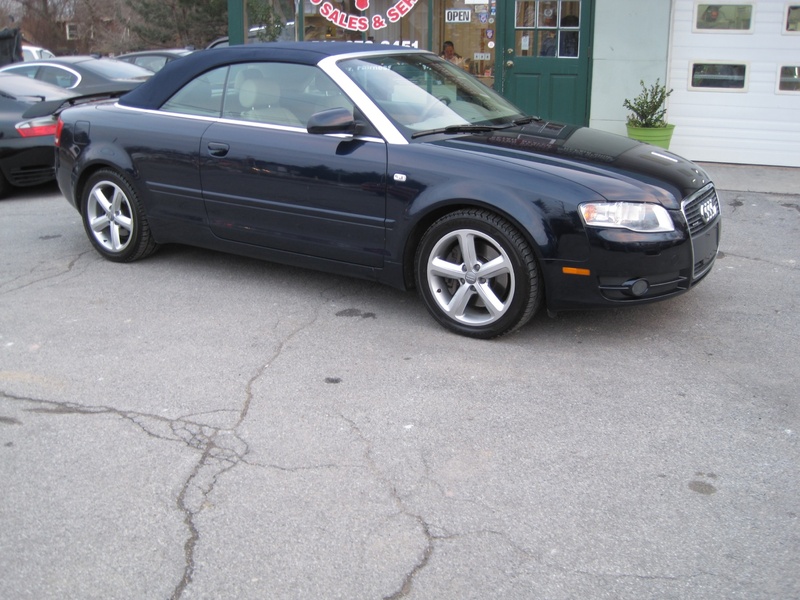 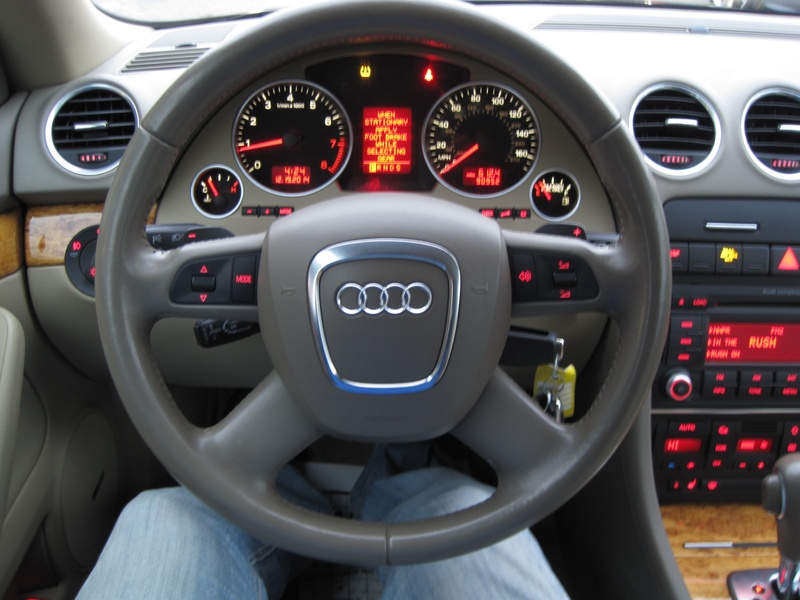 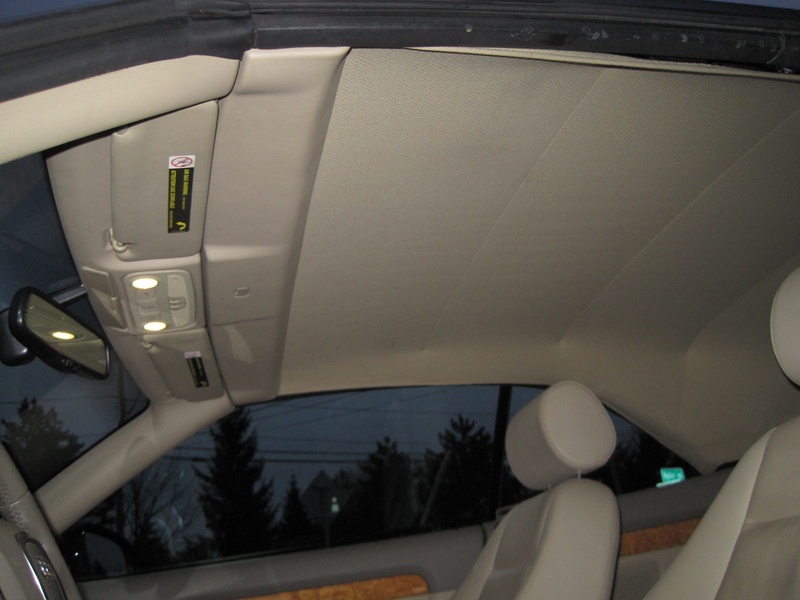 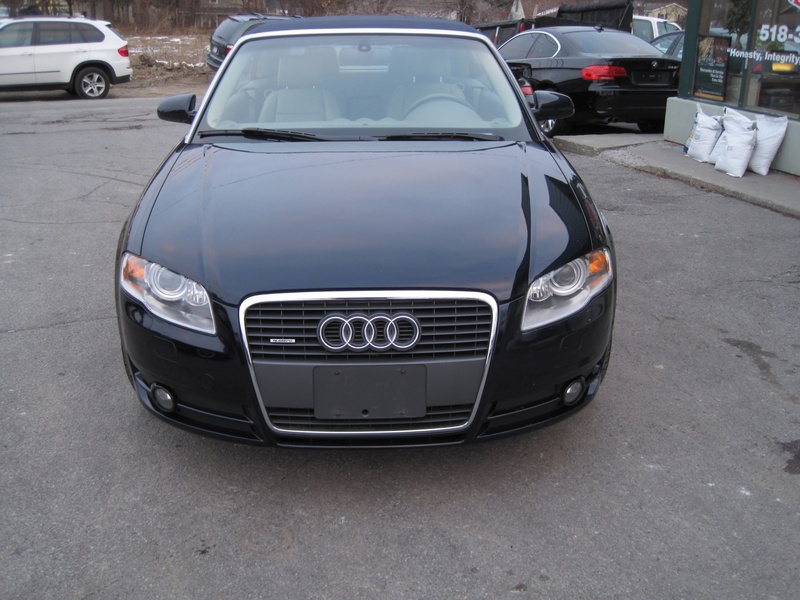 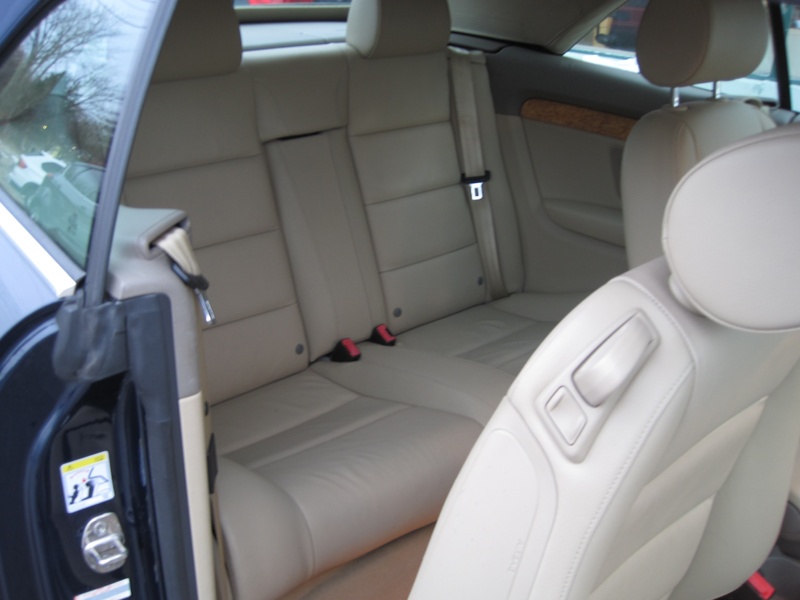 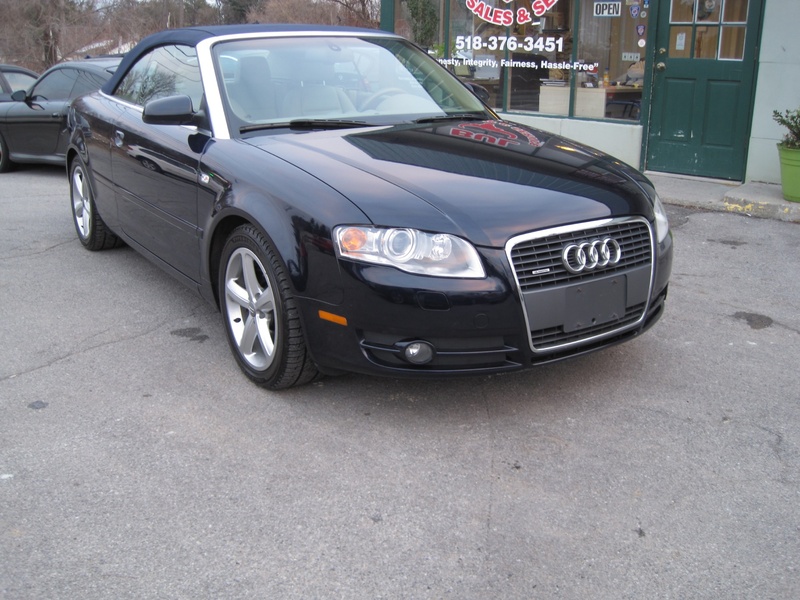 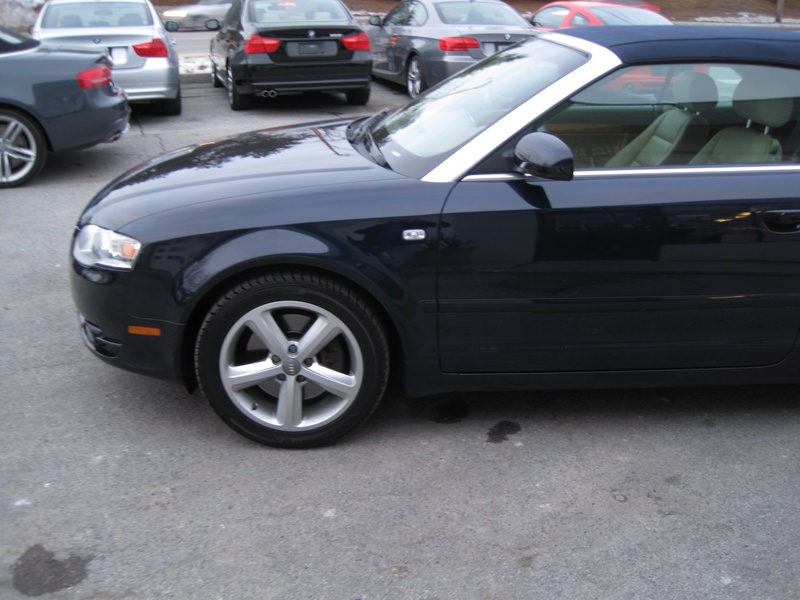 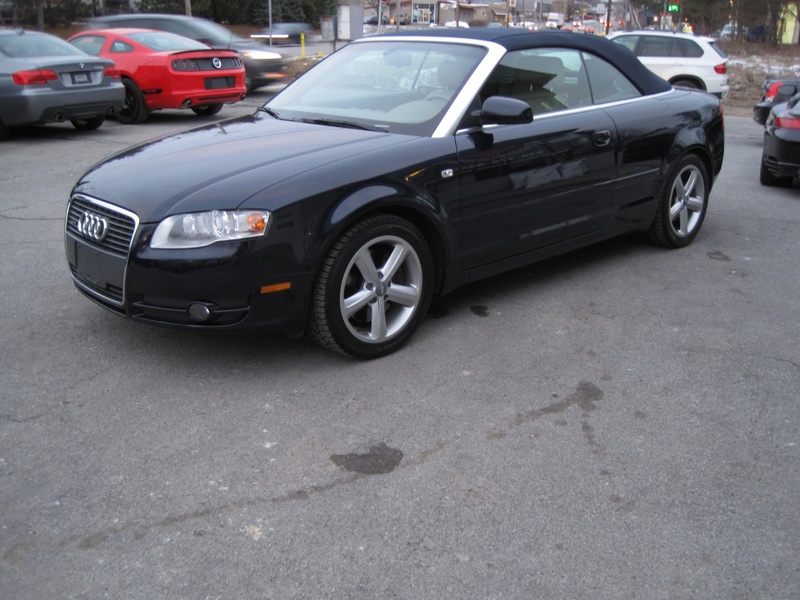 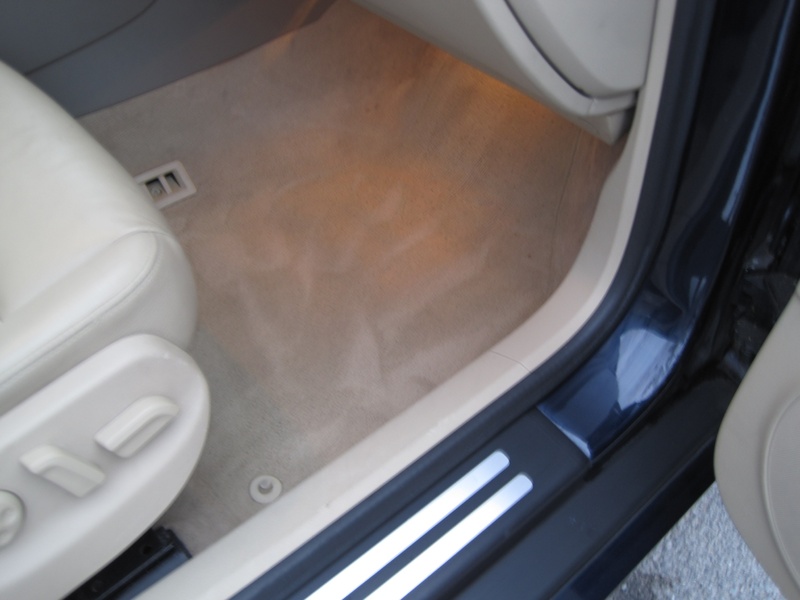 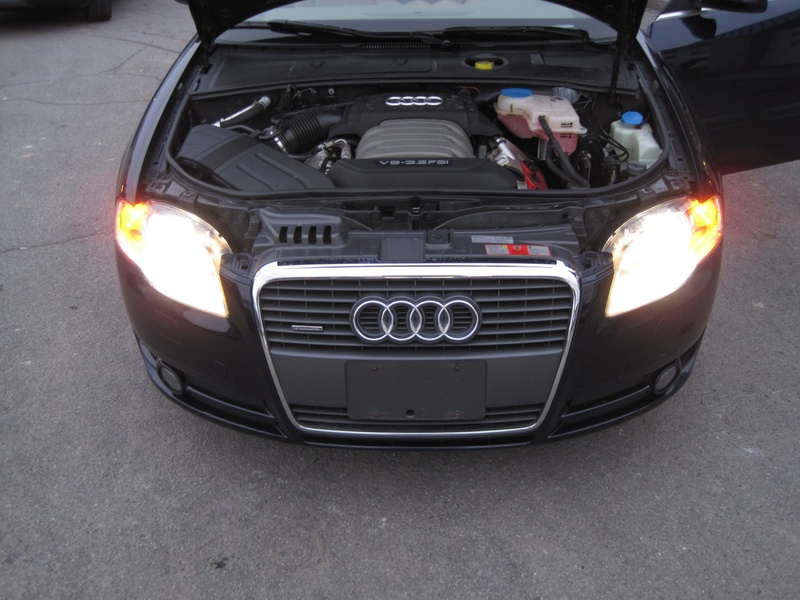 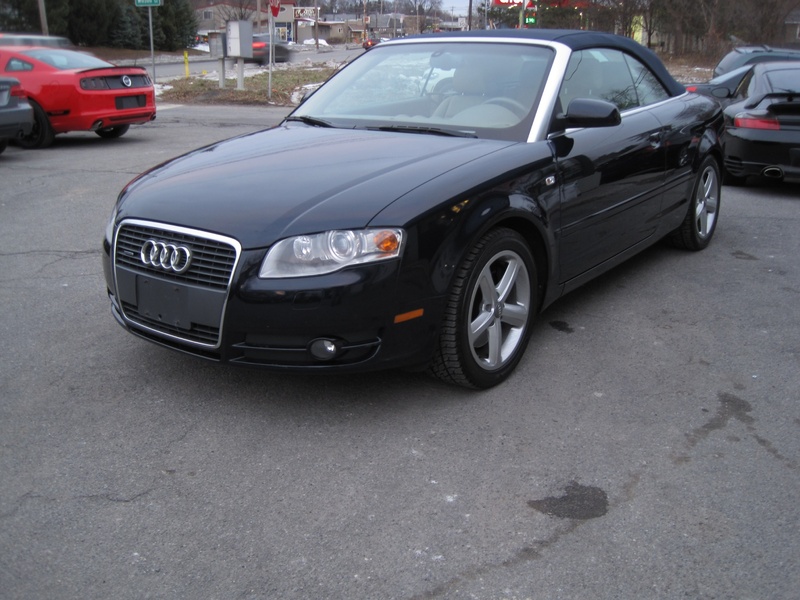 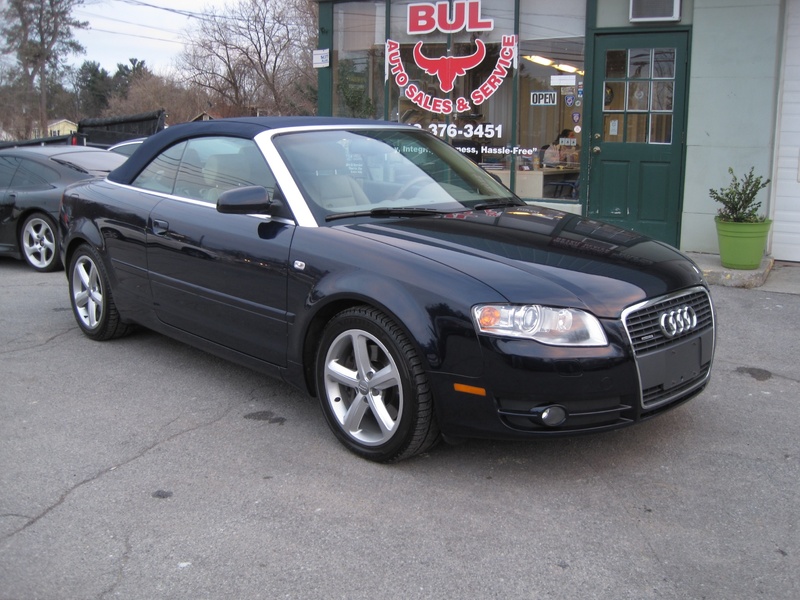 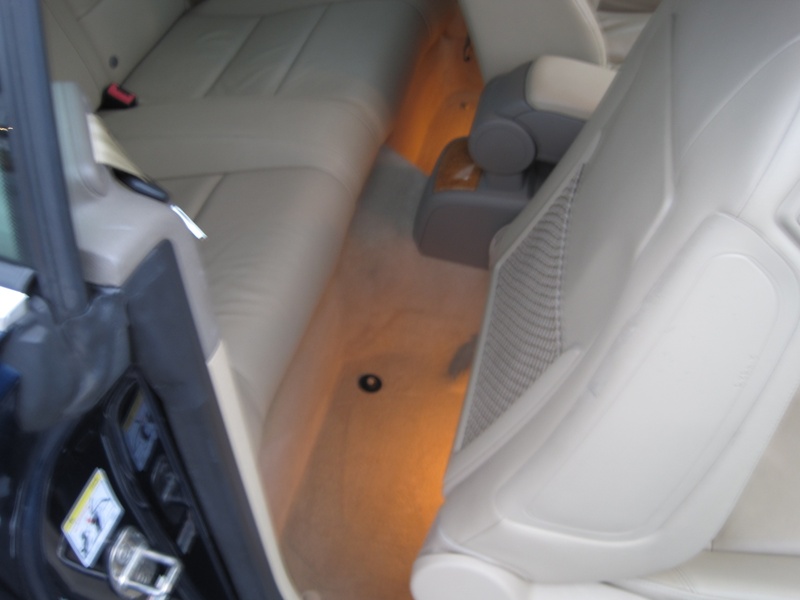 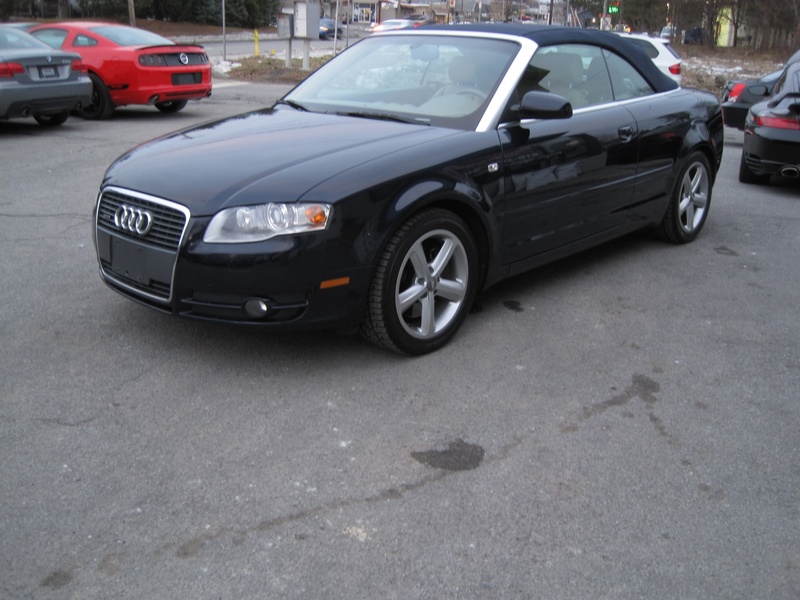 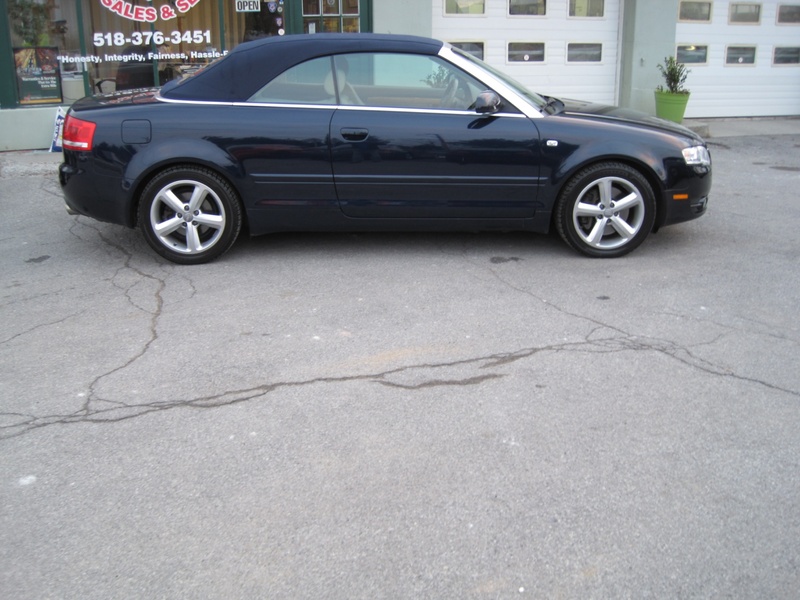 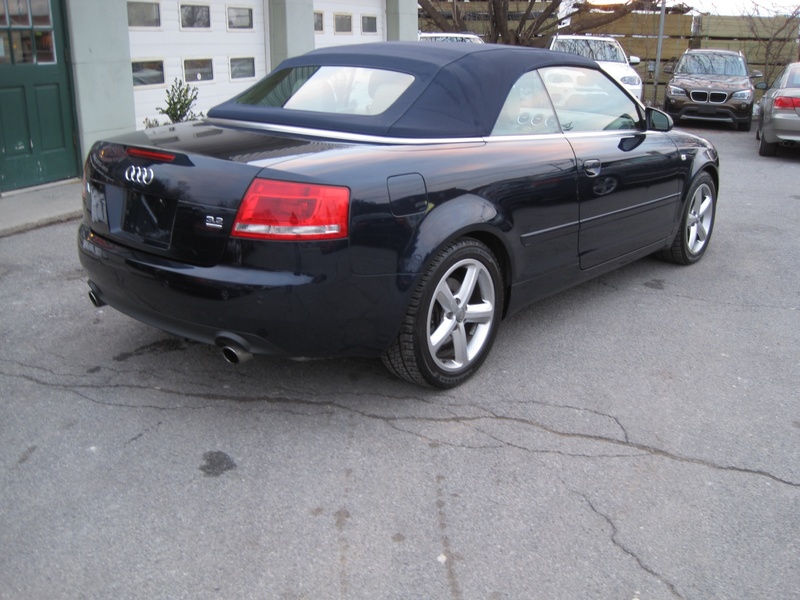 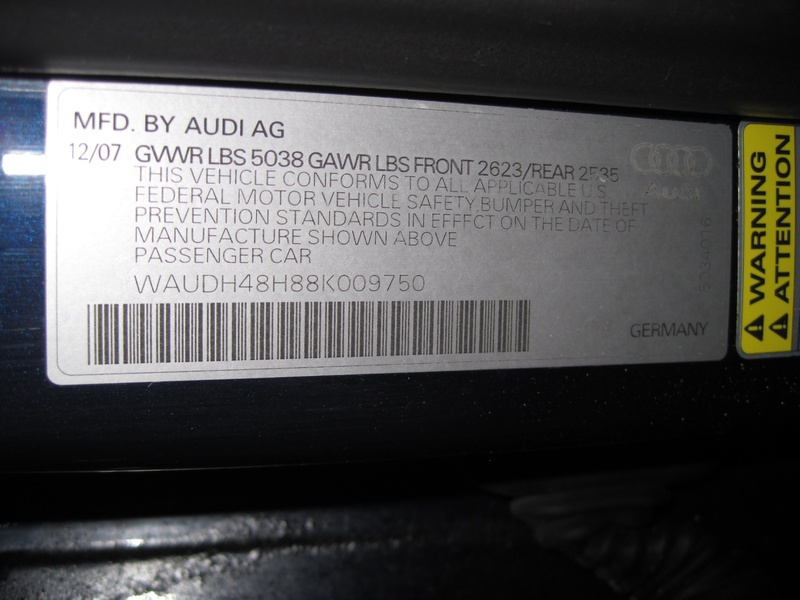 IT IS EXTEREMELY HARD TO FIND A PRE-LOVED A4 CABRIOLET QUATTRO.